The 3B LASER SHOWER was specifically designed for extensive applications of laser therapy. The concurrent operation of 14 laser diodes allows an area of 35 cm² to be treated. The laser diodes are arranged in such a way as to enable the best possible therapeutic effects. 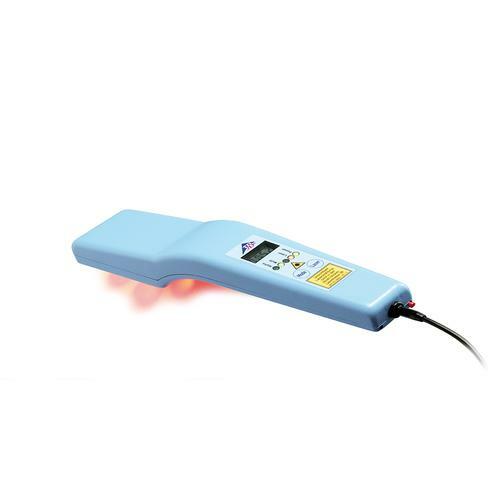 Four intensively radiating red light diodes serve as guide beams and limit the area of treatment. A special filter glass protects the laser diodes and can be easily and hygienically cleaned. The laser shower is a lightweight, portable and compact instrument. Simple and easy to use; guaranteed convenient to operate.